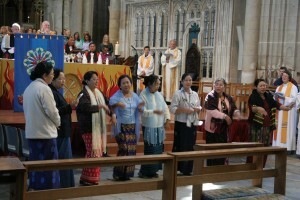 The Anglican Diocese of Winchester has been linked with the Anglican Province of Myanmar (Burma) since 1877. These links have been kept active by a variety of visits between our two countries, both formally and informally. 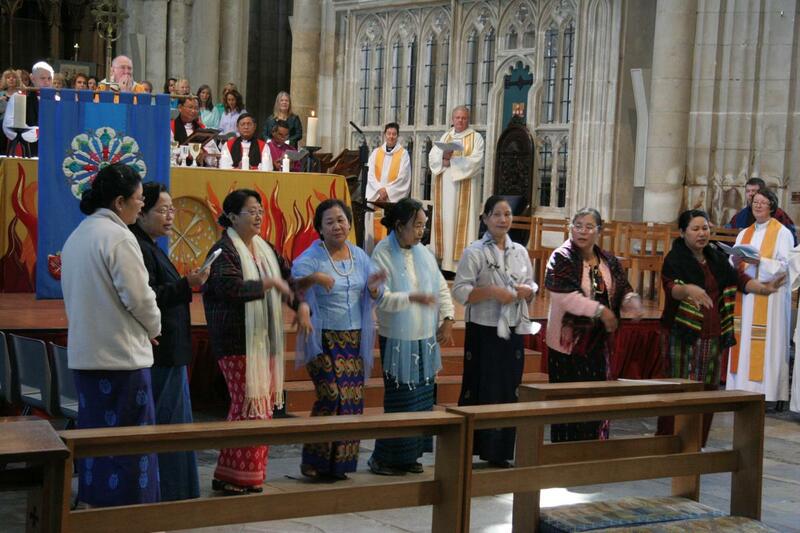 For example, linked to the Lambeth Conference of 2008, several Bishop’s and their wives visited the Diocese of Winchester, and took part in worship at the Mothers’ Union Festival Service. In 2012 Bishop Stephen and his wife Daw Nan travelled to the Diocese of Winchester to take part in the enthronement of Rt Revd Tim Dakin, Bishop of Winchester. During her stay Daw Nan, who is Provincial President of Mothers’ Union in Myanmar, took time to meet members here, and talk about Mothers’ Union (MU) work in Myanmar. The following is a summary of the information in her presentation which highlights how Mothers’ Union there undertake many projects for the benefit of families, both in towns and in rural areas. 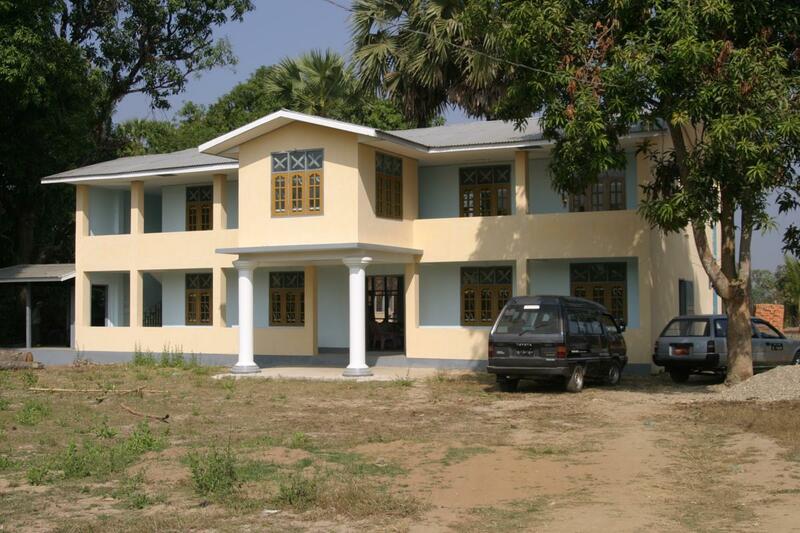 The Mothers’ Union in Myanmar is one of the church organizations which care for family life. It has 8502 members in 179 branches in the Church of the Province of Myanmar. MU was established in 1914 when a missionary came to Myanmar. The missionary’s wife started to established branches with local women. In February 1970, The Anglican Church in Myanmar became a Province and the MU also gained Provincial status. Local transport for Mothers’ Union members visiting Branches. MU members in Myanmar share the Vision, Values, Aim and Objects of Mothers’ Union and take them very seriously, striving to fulfill them even where this involves long distance treks to reach remote areas. Specifically MU in Myanmar is running programmes such as leadership training for members, family care and counselling, teaching about Christian marriage, training and follow up in capacity, climate change, and gender awareness. They also run some training jointly with the Social Welfare Department in Myanmar, have micro credit projects (both church and community based), and run a ‘Home for the Aged’ (in Yangon region). Most of their members are very committed and participate in all programs. Mothers’ Union members in Myanmar also take active leadership in spiritual matters: offering Bible Study Training, monthly services, home/cell group activities, retreats before Lent and Advent, and take part in the Mothers’ Union Wave of Prayer. The ‘Home for the Aged’ is a project that has been specifically supported by MU members in the Diocese of Winchester. 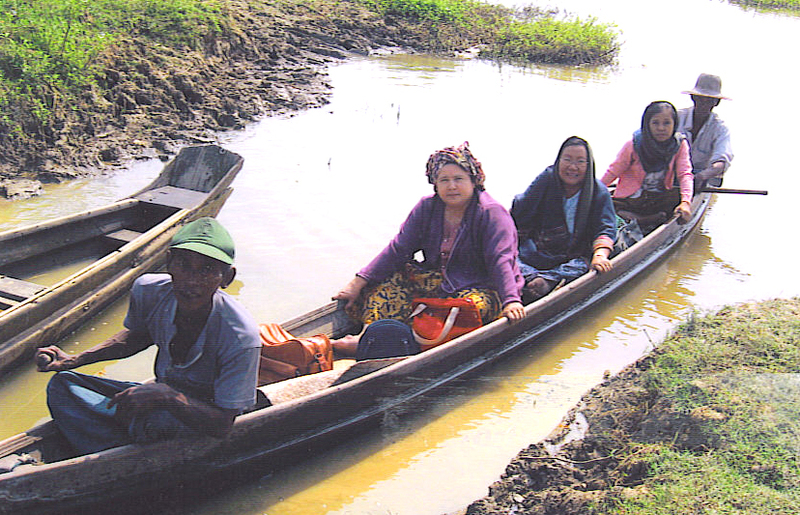 It aims to help elderly, destitute ladies in Helgu township, Yangon, in their time of need. (3) To provide love, concern and care for those who are left unwanted and unloved. Mothers’ Union is always trying our best to help those who with needs. Although we face some difficulties, we never distress and encourage each other. We believe that God always guides us and leads us in the mission of the Mothers’ Union.